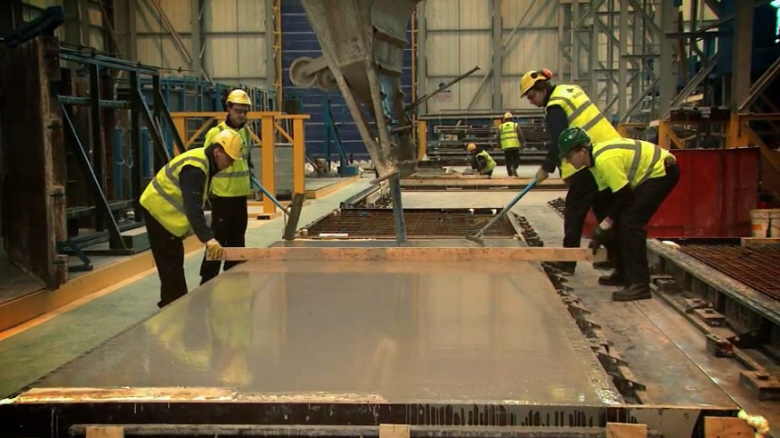 This video explains Bison’s process for pre-casting prison cells for installing into HM Prison Oakwood, a new category C prison in Wolverhampton (building project title – Featherstone 2). We spent a day at Bison’s Swadlincote plant in Derbyshire, filming in the factory and interviewing Bison’s project manager – who talked about the numerous benefits of pre-casting. When we edited the video, we intercut the interview sound bites with the precasting process in the factory. The filming was part of a larger video project commissioned by Kier Group, the main contractor for Featherstone 2, who wanted to tell the whole story about the prison’s construction. Bison really like their section in the video, and so they asked to expand it into a dedicated video they could use.